Jocelyn Whitt preparing a Valentine’s Day bouquet. 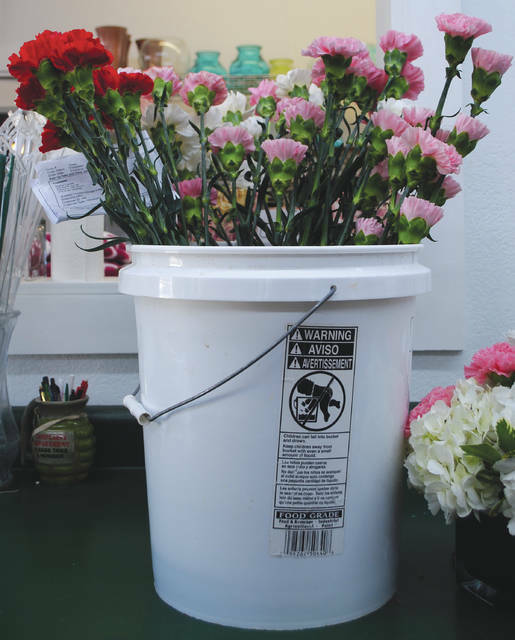 Whitney Vickers | Greene County News Hollon Flowers in Fairborn is gearing up for one of the floral industry’s biggest holidays. Owner Carolyn Hollon said she received the first Valentine’s Day order in mid-January and has received some inquires this week asking if it is too late to place an order, which she has responded that it is not and will continue to take Valentine’s Day orders through business hours on the holiday. It is her 29 Valentine’s Day in business. 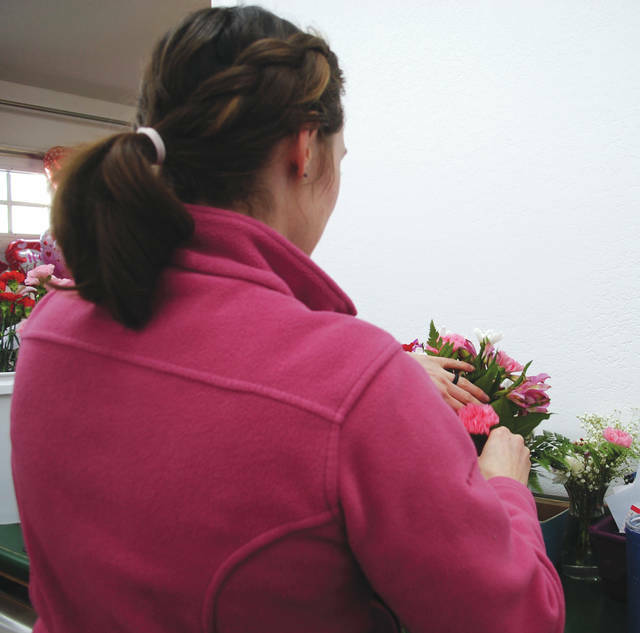 Kristen Pitstick getting a flower surprise ready for Valentine’s Day. 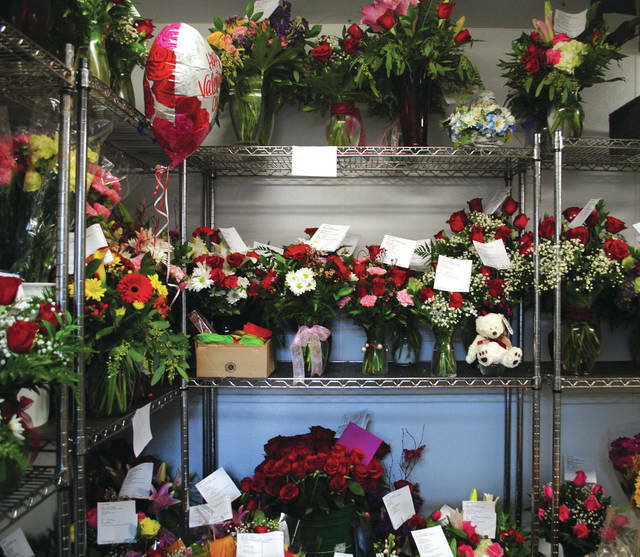 Hollon Flowers will spring into action with Valentine’s Day deliveries beginning as early as 7:30 a.m. Feb. 14. They have five drivers scheduled to make delivering with one additional driver on call. They also offer prearranged bouquets, chocolates and wine. The business is open 9 a.m. to 5 p.m. Monday through Friday and 9 a.m. to 2 p.m. on Saturdays. Hollon Flowers is located at 50 N. Central Ave.
Hollon Flowers in Fairborn is gearing up for one of the floral industry’s biggest holidays. Owner Carolyn Hollon said she received the first Valentine’s Day order in mid-January and has received some inquires this week asking if it is too late to place an order, which she has responded that it is not and will continue to take Valentine’s Day orders through business hours on the holiday. It is her 29 Valentine’s Day in business. 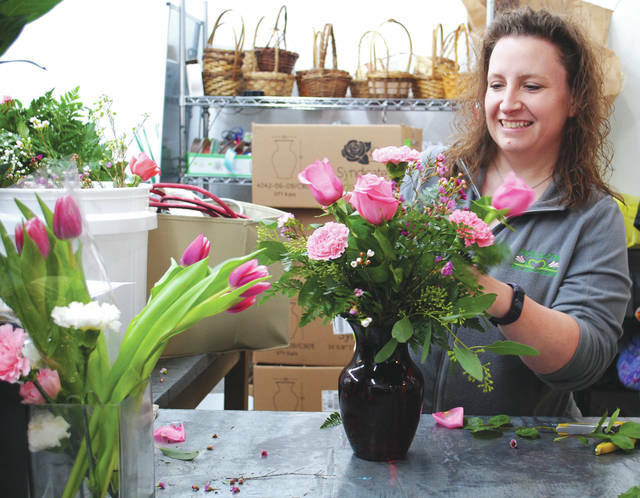 https://www.fairborndailyherald.com/wp-content/uploads/sites/50/2019/02/web1_hollonvday4.jpgJocelyn Whitt preparing a Valentine’s Day bouquet. https://www.fairborndailyherald.com/wp-content/uploads/sites/50/2019/02/web1_hollonvday3.jpgWhitney Vickers | Greene County News Hollon Flowers in Fairborn is gearing up for one of the floral industry’s biggest holidays. Owner Carolyn Hollon said she received the first Valentine’s Day order in mid-January and has received some inquires this week asking if it is too late to place an order, which she has responded that it is not and will continue to take Valentine’s Day orders through business hours on the holiday. It is her 29 Valentine’s Day in business. https://www.fairborndailyherald.com/wp-content/uploads/sites/50/2019/02/web1_hollonvday2.jpgKristen Pitstick getting a flower surprise ready for Valentine’s Day. https://www.fairborndailyherald.com/wp-content/uploads/sites/50/2019/02/web1_hollonvday1.jpgHollon Flowers will spring into action with Valentine’s Day deliveries beginning as early as 7:30 a.m. Feb. 14. They have five drivers scheduled to make delivering with one additional driver on call. They also offer prearranged bouquets, chocolates and wine. The business is open 9 a.m. to 5 p.m. Monday through Friday and 9 a.m. to 2 p.m. on Saturdays. Hollon Flowers is located at 50 N. Central Ave.